I thought I would throw together a little post of the majority of the meals I have had so far, whilst living alone, at Uni. 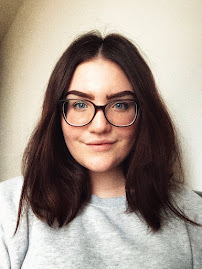 Hopefully this post could offer some inspiration for anyone who has just moved to Uni/is living alone for the first time. They are pretty basic, but with a few twists here and there. You will see ingredients repeated as I have been trying to use things up. Just to note, I do know how to cook and enjoy it, it was something I did when I lived at home, so it hasn't been difficult in that sense. Also, I am a vegetarian, so none of these include meat. 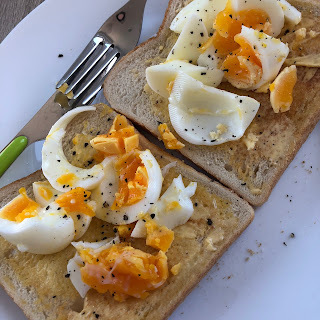 I love eggs on toast/crumpets, so I have had that a couple of times. A great source of protein and really filling! I had homemade - Chinese style - Veg Fried Rice. Made with frozen mixed veg, this needs a little work in terms of flavour. 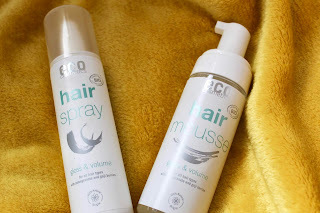 Today I wanted to shine the spotlight on my two current favourite hair products, from Eco Cosmetics. They are a hair spray and a mousse, made with natural ingredients and stored in slimline, modern packaging. I love the look of these products firstly. I think they really represent the brand well and they are great sizes. Starting off with the hairspray, it gives a really firm hold, but doesn't feel to heavy, sticky or greasy. It locks in my baby hairs and prevents any wispiness. The mousse provides my hair with a smooth, glossy finish. I love putting it in prior to blow drying my hair. It gives me a lot of volume and adds that extra bounciness which I like. If you haven't checked these out already, I would really recommend doing so. I was sent these a long time ago, meaning I have been consistently using them for months. I like to give things a good go and I definitely have with these.